Generally, a citizen of a foreign country who wishes to enter the United States must first obtain a visa, either a nonimmigrant visa for temporary stay or an immigrant visa for permanent residence. The vast majority of non-immigrant visa applications received at the US Embassy are for tourism or business travel. 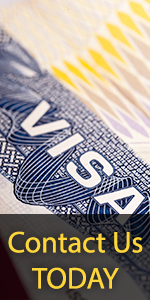 B1 visas are for business, including such things as a need to consult with business associates, negotiate a contract, buy goods or materials, settle an estate, appear in a court trial, and participate in business or professional conventions or conferences. Or, where an applicant will be traveling to the United States on behalf of a foreign employer for training or meetings. The individual may not receive payment (except for incidental expenses) from a United States source while on a B1 visa. B1 can be converted into an H1-B. The H1-B employer should file a change of status application from B1 to H1-B, with the USCIS. It is recommended that you wait at least 60 days after entry to file the H1-B application because if it is done earlier, the USCIS might feel that you used the B1 solely for the purpose of finding employment and this a violation of the B1 visa rules. You cannot work for any employer without authorisation. Also, you cannot have a full-time H1-B with one company and part-time with another. They both have to be part-time positions.